Are you or someone you know struggling with food, drugs and/or an alcohol addiction(s)? By working The 4 STEPS, you will gain a deeper acceptance of yourself and more peace in your life. Readers will better understand themselves and their addiction; realize that their addiction is based in pain; and determine what triggers them to act out. 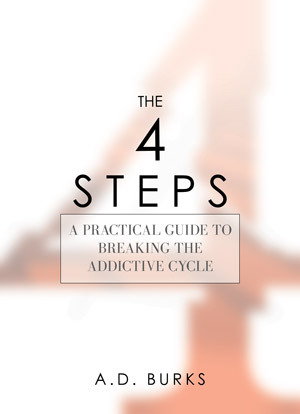 Author A.D. Burks developed the 4 STEPS through his own recovery and research that involved countless hours of speaking to others about their addictions through workshops and presentations.